The Pioneer Woman, Ree Drummond, in Person. My daughter and I have become obsessed with Ree Drummond, Pioneer woman. We love her cookbook, blog and her basset hound Charlie. Yesterday we had the opportunity to attend a book signing. She is just as sweet in person as she is on her blog http://thepioneerwoman.com If you haven’t visited, do so … NOW, today, but only after you finish up here. And take a look at her recipes. She includes a ton of pictures. I LOVE to cook by pictures. Then you can compare your mess to her beautiful pictures. Makes a girl feel good. This year I planted a few cosmo seeds and they took off – highly unusual for any plant depending on me for care. But I gave it my all this year. I suppose that is what will happen with a little TLC and maybe a tiny bit of water. In my family, I am famous for letting a plant get as close to death as possible and then watering. It gives you a warm fuzzy feeling watching it revive back to life. 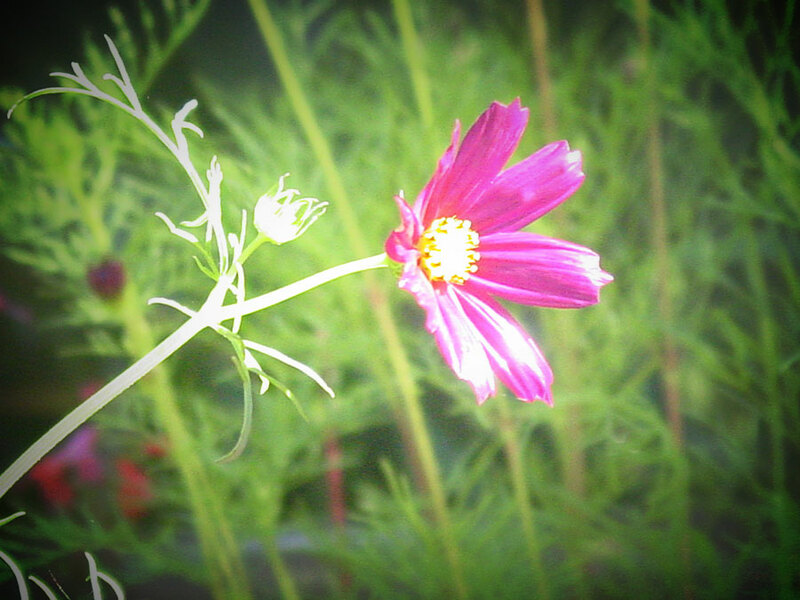 Back to my cosmos, they grew, they started showing signs of buds, and all of the sudden, A FLOWER!! I really have a flower! This morning it was standing up so straight and tall – perfect posture. Within an hour it was already looking for the sun. I love this little cosmo face filled with sunshine. Maybe by tomorrow I will have more. Beautiful little cosmo looking for sun.